Markets that will remain hot will have a good balance of strong income growth and solid home appreciation. Low unemployment rates also play into a large factor of how well a market will do. Omaha Nebraska has some of the lowest unemployment rates at just 2.9%. With Seattle being the “tech-town” that it is, our growth rate will skyrocket over the next couple of years. 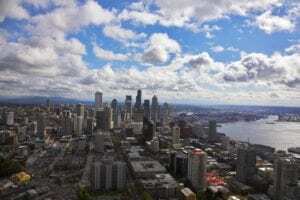 More and more businesses are moving their headquarters to Seattle such as Amazon, Google, and Expedia, solidifying the income growth and low unemployment rate. Seattle currently has an unemployment rate of 3.3%, which is down from last year’s 4.1%. Each hot market will have something for everyone including self-starters, young families, retirees, business ventures, singles and up and comers. Seattle is ideal for anyone looking to start a family or launch a career, making it a hot market for a variety of reasons. For more information on the Seattle market and hot neighborhoods around the Puget Sound, please visit MaryPong.com or contact Mary at 425-829-3417.